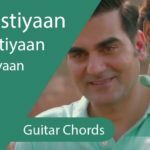 Tera Yaar Hoon Main Guitar Chords | Everyone has a best friend, and what better way to make them feel loved and acknowledged by having a song for that, Tera Yaar Hoon Main, from the movie Sonu Ki Titu Ki Sweety, is one of the sweetest and the most heart wrenching friendship songs, I have heard. This track would very soon become a re-union anthem. 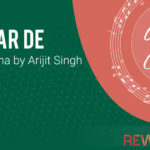 This song is sung by the one of the most acclaimed playback singers in the B-town Arijit Singh, giving us the greatest hits like, Tum Hi Ho and many more, and composed by Rochak Kohli and words given by, Kumaar. 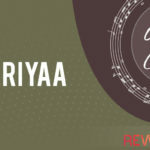 Indian audience loves relatability and being able to identify with the song is, especially when it is a soft one, is what makes it successful and a fan favorite. This song, pictured on two friends and the fallout between them, is a feeling every person has dealt with. The most important and pure form of a bond for everyone individual is the bond of friendship, and life without friends is bland. This song breaks the barriers of the love we have for our friends, it’s more emotional than any love song we see around us, and you don’t even realize that you’ve shed two odd tears, and that’s perhaps the beauty of the song. The song, sort of talks about a breakup in a friendship but still being ready to rekindle, going down the memory lane remembering and cherishing the moments. The composition and melody along with Arijit’s voice moves you from within. You would never find a voice like that of Arijit Singh, he gives the song a bright and filling touch, and brightens up the whole song. The combination of the instruments in this track is very subtle and relaxed, with light strings and the keys, and accentuates the singer’s voice. The lyrics are brilliantly written and pour out the feeling of every individual that values friendship, and would be quoted at a lot of weddings of their best friends. It’s a bummer that this track is slightly underrated and didn’t get the recognition it deserved considering this movie had a lot of party songs; but this track surpasses all of them. The most likable aspect of this song, is somewhere in the middle, when the song takes a turn and changes into a different tune which is so smooth and fresh, making it fit so well, with the mood of the song, which is also a wedding song. 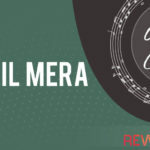 And I think there is a great elevation from that point, ending the song on a high point with the drums, violins, the shehnai and the dhol, makes the song complete and fulfilling, making the listener want more. 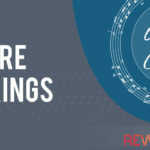 In this article we’ve shared two versions of the guitar chords – One with the capo on the fret board and another without using the capo. 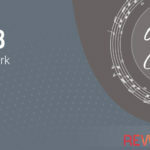 To play the capo version of this song you need to place the capo on the 3rd fret (Third fretboard) and chords with capo will become – G, C , Em , D, Am and if you don’t want to use the capo then you can simply play the song using A#, D#, Gm, F, Cm, D, C, & G.